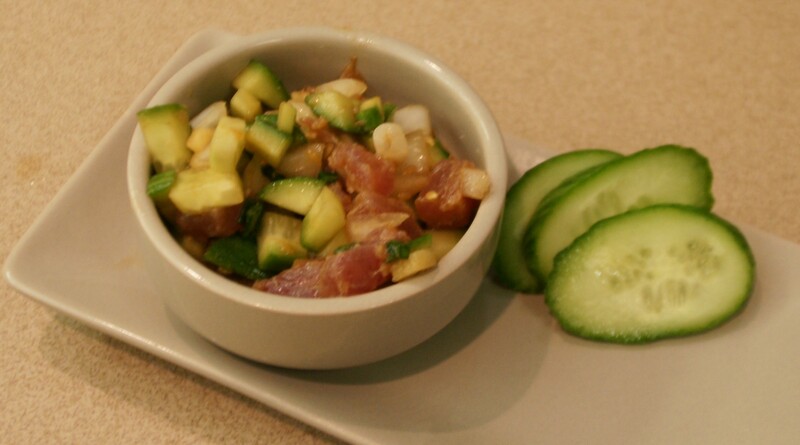 Hawaiian Poke made yellowfin tuna famous. 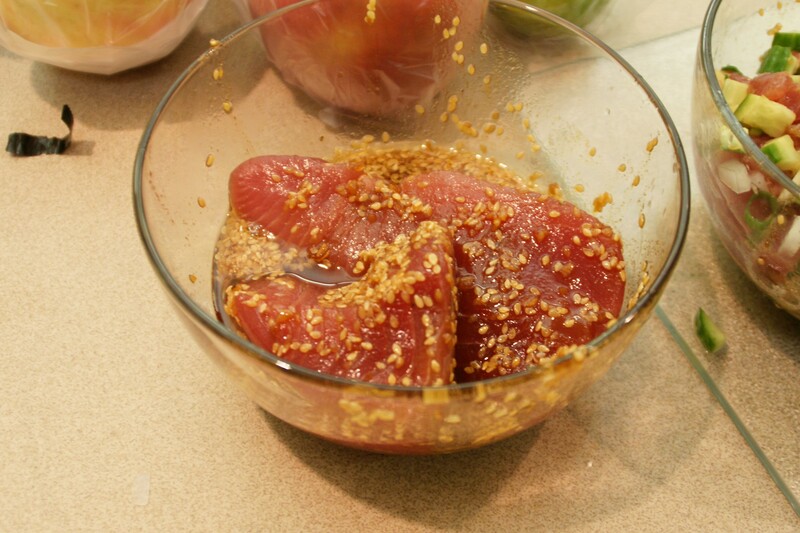 So many Hawaiian cooks develop their own favorite ingredients but yellowfin tuna is the go to base. Other sushami-grade tuna can be used but the time honored tradition for Poke is yellowfin tuna. 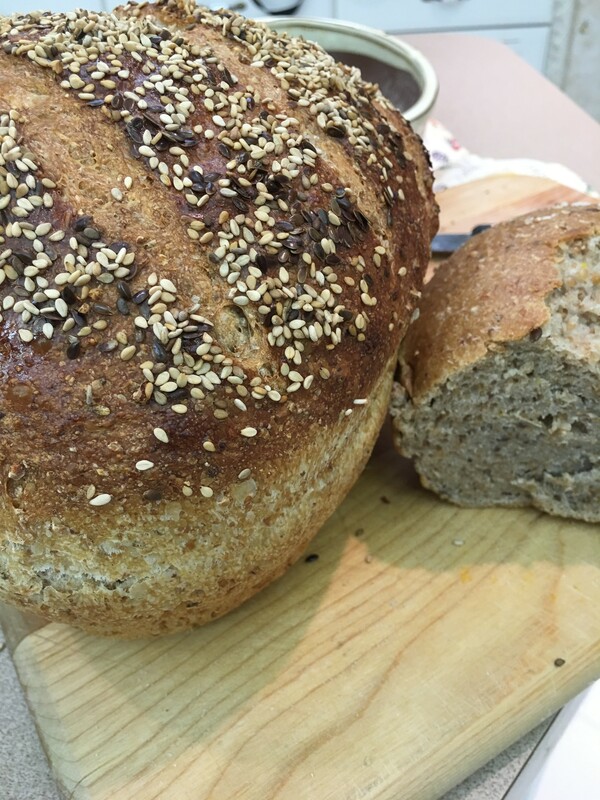 Marinade with sesame seeds and seasonings for an amazing taste treat. Dice onion such as maui or vadallia in a uniform piece similar in size to the tuna and cucumber pieces. Sometimes traditional poke contains 1/2-inch pieces but for those who might not want to bite into that large of piece of raw tuna, a tiny dice works best. 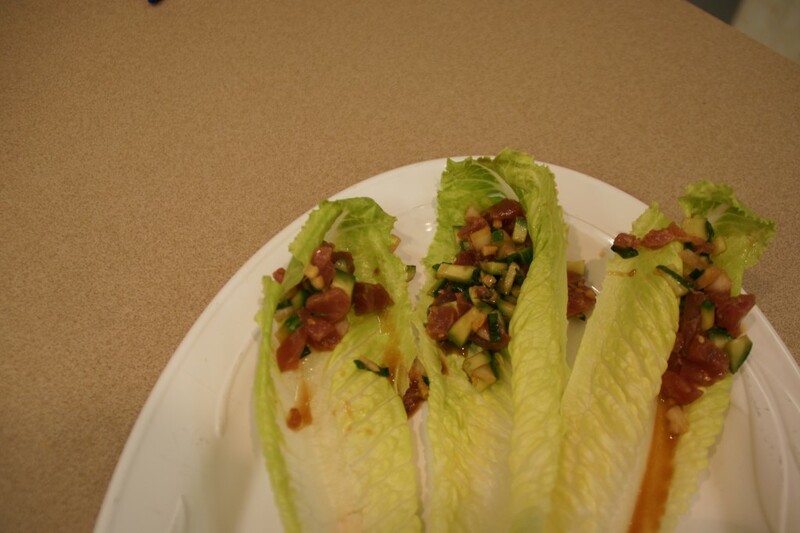 Ponzu citrus seasoning and dressing is a great sauce for this recipe with notes of lime and orange. 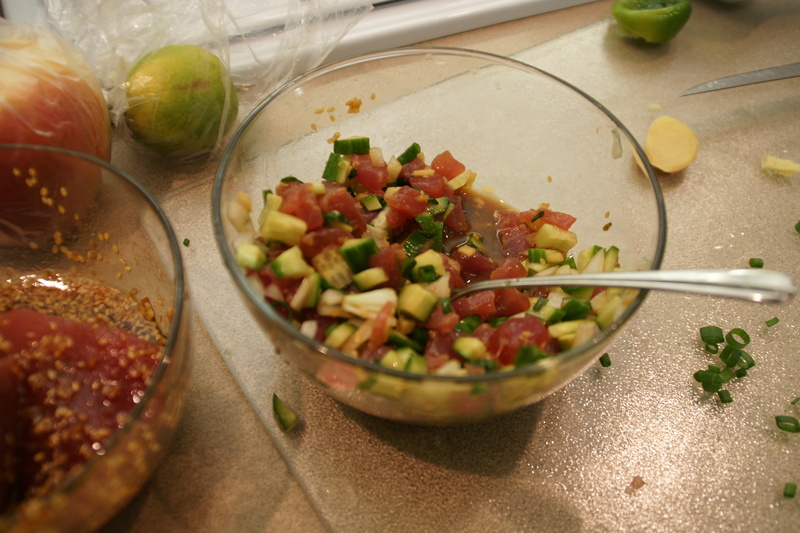 Soy sauce can be substituted with a touch of lime added. The seasonings only need a few minutes to meld with the raw tuna. Serve chilled and eat immediately. 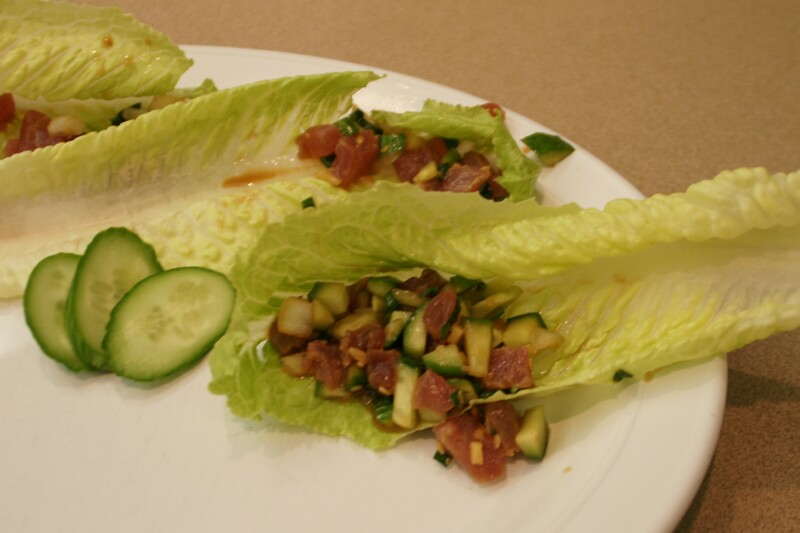 Endive is a good carrier for Poke and adds a fresh taste. It can also be served with rice for a meal. Served as an appetizer with cucumber slices is another idea for serving. Combine diced tuna with remaining ingredients. Marinate in refrigerate for 5 to 10 minutes to r before serving. Place a spoonful on an endive leaf and arrange on platter. 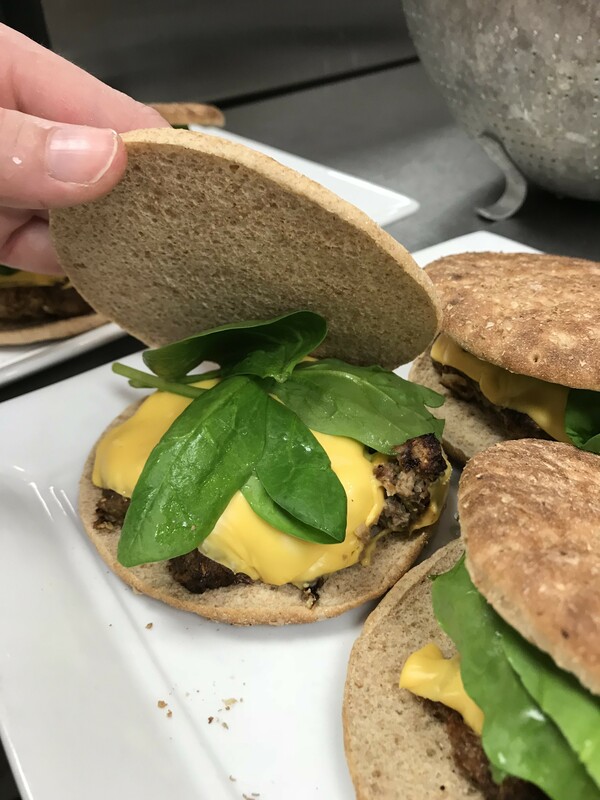 What's Healthier, Ground Turkey or Beef?